Aaron’s Books – He Said What?! In telling you about how Aaron watches movie credits, I decided to tell you about his book reading ritual. Aaron doesn’t read books with a plot or a story-line……………at least he hasn’t read those in years. Social interaction is very hard for him and so books with human lives and conversations bore him. 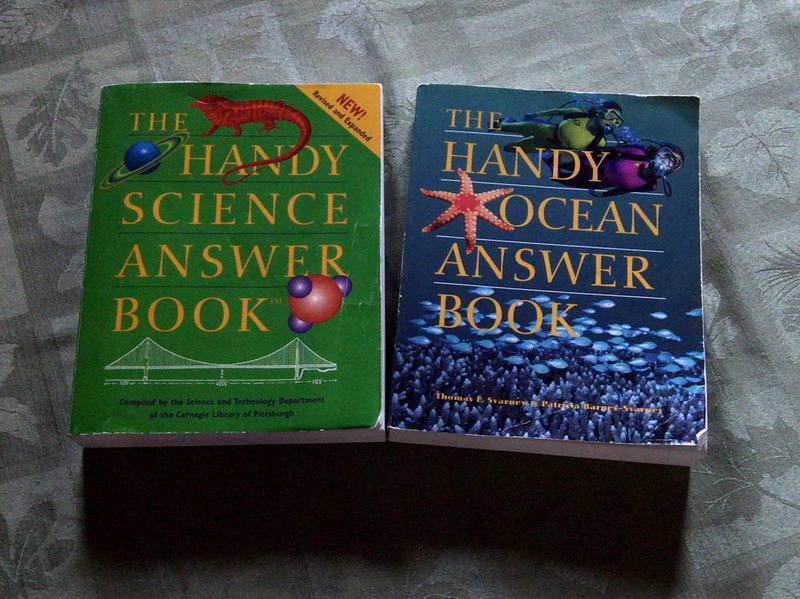 Instead, he enjoys books of facts, such as these Handy Answer Books. He has quite a few of these books and I continue to look for new ones that he doesn’t have yet. When he receives a new book in a series, he will do one of two things. He will sometimes go back to the very first book in the series and read the books all over again, saving the new one until last. Or he will put the new book on the bottom of the stack of that series, even if it’s not numbered in any particular order, and continue reading from where he is at the time he got the book until he reaches the new one. Either way, he usually has new books for many months before he reads them. Actually, sometimes it’s a year or longer before he reads the new book. One reason for that is because he will only read at night before bed. Again, the ritual and the routine of his life. Gary and I have tried to get him to read during the day but he will NOT. One morning he told me, “Mom, the book I’m reading now is strange.” So I asked him what was strange about it and he told me, “Well, all it says right now is http.www. and then some other things.” Then I had him show me and I saw that he was reading the very back of the book, under the “Further Reading” section. I questioned him the other night and found that he’s still reading that section of his books – but not the index, he said. 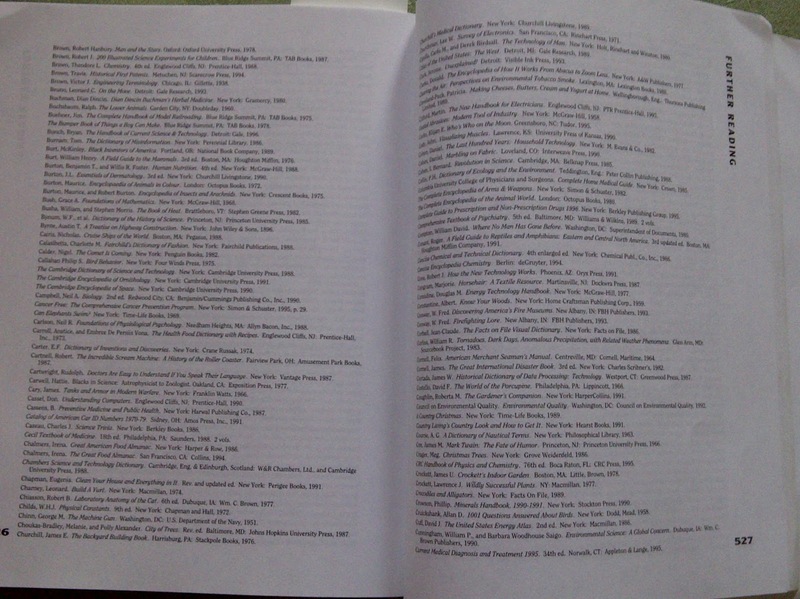 To Aaron, this is part of the book as much as the credits are part of a movie – and so he will read every word. No wonder his reading at night makes him sleepy!